In 1872, in Stockton, California, a baby girl was born into a life of adventure. At the age of eight years old Harriet Chalmers explored the entire state of California on horseback with her father, including the Sierra Nevada Mountains. Quite an accomplishment for such a young girl, especially in the 1880s, and perhaps this was where her love of adventure began. As her father was an adventurer from Scotland by way of Canada, and her mother the daughter of early California settlers, Harriet likely came by this love naturally. Her childhood was spent swimming, hiking, hunting, fishing and horseback riding. When she was fourteen she spent a year on horseback with her father, traveling through what was then known as the Mexican border-lands. Young Harriet was quoted as saying she wanted to go to the ends of the earth, so it’s no small wonder her adventures did not end as she grew into a woman. In 1899 she married a man with her same same energy and zest for life. With her new husband, Franklin Pierce Adams, Harriet took an extended road trip through Mexico and California in their motor car1. The people of Mexico stole Harriet’s heart and after her honeymoon trip ended, she was already making plans to go back and immediately immersed herself in learning their customs. 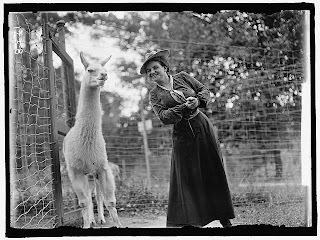 In 19042, Harriet and Franklin made a two-year journey through South America. Franklin was a mine inspector for the Inca Mining and Rubber Company but the couple funded most of the trip themselves. While in the mining camps they had hot baths and comfortable beds. In port cities they were able to enjoy fine dining, but they also spent a great deal of time poring over maps and planning out their next adventure. During this two-year adventure, Harriet and Franklin climbed the Andes, walked the jungles, canoed through the Amazon, and spent time with the natives. They encountered rough weather, uncomfortable conditions, moments of fear, but their joy for the journey rose far above any discomfort brought about by vampire bats, harsh weather and hunger. Not only did they go back, but Harriet went by herself when her husband was unable to accompany her. The couple documented their explorations with photography, journals, and later with magazine and newspaper articles including The New York Times, National Geographic, and The Ladies Home Journal. Later, Harriet would travel through Haiti, Siberia, Sumatra, the Philippines and every country in the world that was in some way connected with people of Latin ancestry. She included Asian countries in her travels to prove her theory that the Asian peoples were the first settlers in the Americas and that the natives were of Asian descent. And what would a woman who loves life, adventure and her fellow man do when war breaks out? Become a war correspondent, of course. 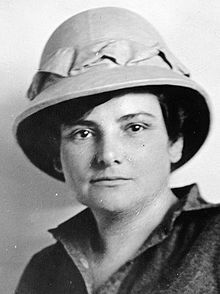 Harriet was one of the first women war correspondents in the First World War, representing Harper’s Magazine on the French front. She was the first woman allowed in the trenches. 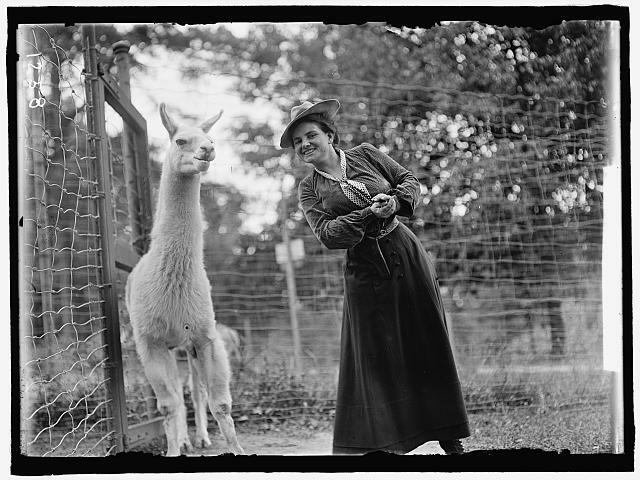 After the war, Harriet and Franklin continued their travels. On a trip through the Mediterranean, Harriet fell off a sea wall and broke her back. Told she’d never walk again, she of course did. Once recovered, she traveled in Africa. Harriet and Franklin spent their retired years living in different European cities. In 1937 after having lived a life of amazing adventure, Harriet died peacefully in Nice, France. 2One source states this trip began in 1903 and two others state it began in 1904. Harriet began her diary in January of 1904 and ended it in May of 1906. Every female explorer I’ve read about to date has written down her adventures. What do they have in common with writers? 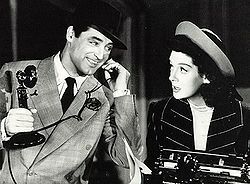 Or, should we ask what do we writers have in common with the women who sought adventure? Are we creating the adventures we wish we were following? 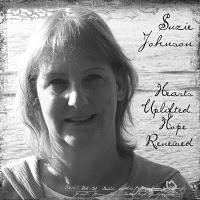 Suzie Johnson’s debut novel, No Substitute, a contemporary inspirational novel, will be released by White Rose Press later this year. She is a member of ACFW, RWA, and is the cancer registrar at her local hospital. The mother of a wonderful young man, who makes her proud every day, Suzie lives in the Pacific Northwest with her husband and naughty little cat. Wow this is a fascinating introduction to a woman I've never heard of before. What an incredible life! Very well done, Suzie. Harriet is a great inspiration not only as a role model, but as a romantic heroine. wow. i love the inkwell. so many inspirational women in history that i've been introduced to here. Deb, I didn't mention that during the war Harrit also helped the nurses. So she not only reported on the war, but she took an active helpful role as well. She loved people and cared deeply. Thanks, Anita! I believe Harriet married her perfect hero and lived her dream life. It's wonderful to be able to say that! Aw, DebH, we love you, too. I'm so glad we're able to inspire us. From me, I always find you a source of inspiration! I've never heard of Harriet--but wow! She's quite an inspiration. And yes, a fine model for a heroine in a story. I'll enjoy learning more about her. Thanks, Suzie! Hey, Susie! I'll have some more info on Harriet in a future post. Fantastic post, Suzie What an interesting character. She deserves a book of her own for sure!